I have too much iron and B-12 in my blood. What effect will warm lemon juice have on my system? I have changed my diet to a strict low iron as possible due to the fact I have too much iron in my blood. I have too much Vitamin B-12, as well. My diet is very limited. It is mainly a dairy diet . . . yogurt. For the past week I am drinking warm fresh lemon water morning and evening. I also have started drinking lemongrass tea. I would like to know if the effects of drinking warm lemon water would help with my condition. WBH response: If you were my health client, I would have to ask you many more questions because the answer has a lot to do with what is causing too much iron and B-12 in the blood. As you may know, iron is an essential trace mineral that is involved in the creation of hemoglobin, the nucleus of red blood cells. Too much iron in the blood can be a symptom of excess exposure to iron in the environment. This might include regular exposure to tobacco smoke, riding the subway daily, or working in an iron smelter or mine. It can also be caused by excess iron supplementation. Too much iron in the blood can also be an indication of an underlying health condition, such as hemochromatosis or hemolytic anemia. 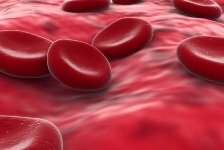 The general symptoms associated with too much iron in blood include (but are not limited to) the following: fatigue, joint pain, abnormal heart rate, faintness or weakness, and decreased libido. I assume that your limited diet (to minimize iron intake) is doctor recommended. However, I would definitely look to find ways to include fresh produce in your diet. A mono diet is generally ok for a week or two, but I wouldn’t recommend it for longer than that. Of course, it is wise to consult a natural health professional or a nutrition consultant as needed when making dietary changes. Vitamin B-12 is important for formation of red blood cells, metabolism of cells, and the maintenance of the brain and spinal cord--obviously, a very important nutrient. However, it is also easy to get too much B-12 through supplementation! For this reason, I am not a fan of individual nutrient supplementation unless you are under the care of a clinical nutritionist or other health care professional who can test the blood regularly. I much prefer whole food supplementation because whole foods and whole food supplements (not pills) are in the form that the body was designed to utilize nutrients. I believe the single most important thing I have learned as a nutrition consultant other than the importance of hydration) is the fact that the synergistic effect of numerous nutrients in foods are the key to utilization in the human body. Nature is wiser at this than pill makers. Beyond the synergistic quotient is the fact that there are other non-chemical factors in live foods, such as bio-photons (light-energy), their electrical charge (positive or negative), and other nutrient activators such as enzymes. The topic of enzymes brings me (finally!) back to the benefits of lemon water. The enzymatic properties of drinking fresh squeezed lemons in water are important for numerous reasons related to the effects of too much iron in the blood. For example, high levels of iron in the blood can lead to liver problems. Lemon water promotes healthy liver function. Lemon water is also a good blood cleanser and will help to alkalize bodily fluids. Lemon water is also an anti-microbial and can also help boost immune function until the underlying issues related to too much iron and B-12 in the blood are resolved.